is famous ghat the banks of the Ganges Haridwar in Uttarakhand state in India. 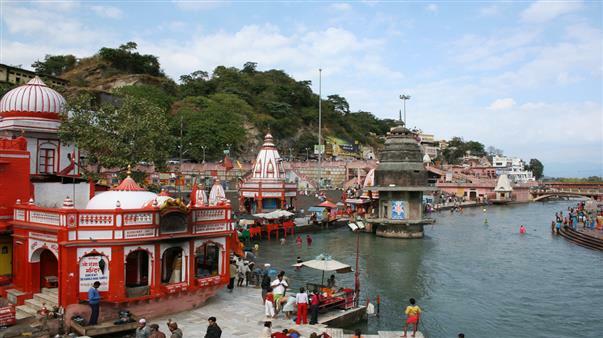 This revered place is the major landmark of the holy city of Haridwar. literally means an Abode Dedicated to the Welfare of All and is a true spiritual haven, lying on the holy banks of Mother Ganga, in the lap of the lush green Himalayas. Lakshman Jhula an iron suspension bridge in Rishikesh. 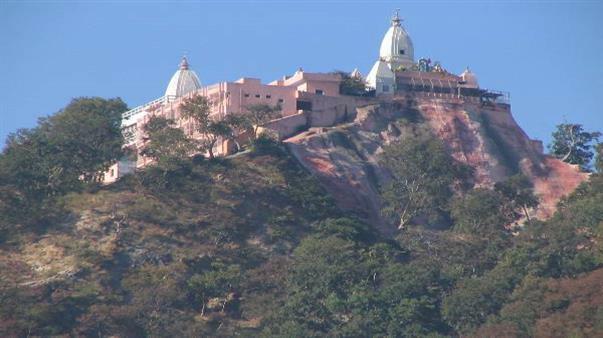 It is located 04 kms far from Rishikesh Railway Station. Laxman Jhula is 450- Feet long Bridge on the River Ganges. After sunset, the famous Ganga Maha Aarti takes place at around 6 PM, which sees the whole stretch of Triveni Ghat come alive.